With the ongoing Brexit negotiations, the shape of the future relationship between the UK and the EU remains unclear. There are a range of possible scenarios that could impact the way in which items are sent and received from the EU. If the UK agrees a deal with the EU before 29th March 2019, then the UK is expected to enter into a transition period. This period is expected to remain in place until 31 December 2020, subject to a possible extension. 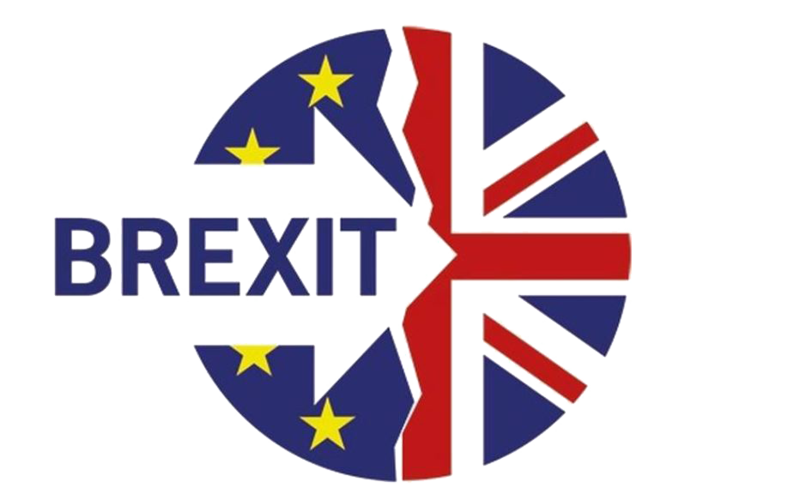 The transition period is designed to give everyone in the UK and the EU time to prepare for changes caused by the UK leaving the EU and the customs union at the end of 2020. As a result, the way the UK trades with the EU will remain broadly the same during the transition period. This means that you won’t have to make any immediate changes to the way you think about customs or VAT in relation to the EU. You will need to start preparing for the changes during the transition period which must be completed before the end of 2020. What’s changing on UK import VAT rules? What is changing for sellers outside the UK? From 29 March 2019, if the United Kingdom (UK) leaves the European Union (EU) without a deal, the UK import VAT rules will change for goods sold to UK buyers (including businesses and individuals) sent in parcels. The rules differ depending on the value of the goods in the parcel. When calculating this, sellers outside the UK should include the price paid for all items sold, either in money or any other means. Postage, packaging and insurance costs, or any duty sellers pay in their own country should not be included. When the value for all goods in the parcel is £135 or less, sellers outside the UK must pay the UK import VAT for any parcels sent to UK buyers after 11pm GMT on 29 March. This applies even if the goods were sold before then. Sellers outside the UK include those in the EU, outside the EU, and the Channel Islands. The existing tax relief on goods worth £15 or less will not be introduced for sellers within the EU. It will also be removed for sellers outside the EU. The UK government has taken this decision to protect UK retailers from being undercut by VAT free goods entering the market. This also follows the global approach that is being taken with regards to this tax relief. If the value for all goods in the parcel is more than £135, or if the parcel contains excise goods including alcohol, tobacco or perfume, there will be different rules. UK buyers will need to pay the UK import VAT, customs and / or excise duty on these goods. The parcel operator will apply any necessary charges to the parcel and seek the payment direct from the UK buyer. If sellers outside the UK sell goods in parcels above and below the £135 threshold to UK buyers, the seller should only report and pay the UK import VAT on the goods in the parcels worth £135 or less. From 29 March 2019, sellers outside the UK must pay the UK import VAT for any parcels sent to UK buyers after 11pm GMT, even if the goods were sold before this date. Sellers must register for the service if they sell zero-rated goods. Zero-rated goods are still VAT-taxable but the rate of VAT charged is 0%. This is known as zero-rate.Sellers must still submit a report on these goods sold but with zero-rated UK import VAT due. Sellers can register for the service now so they are ready to use it if the changes are introduced on 29 March 2019. What is the UK import VAT on parcels service? This is the UK HM Revenue and Customs (HMRC) new online service for sellers outside the UK (this includes the EU, outside of the EU and the Channel Islands) to report and pay the UK import VAT on goods they sell and send as parcels to UK buyers if the UK leaves the EU without a deal. Sellers are encouraged to register for the service now so they are ready to use it if the changes are introduced on 29 March 2019. To register, sellers will need a Government Gateway user ID and password. If they do not have one already, it can be created when they register for the service. They will also need to provide their or their business’ contact details and business accounting periods. Once registered, sellers will be given a UK import VAT on parcels reference. This parcels reference should be included in documentation accompanying any parcels they send to UK buyers from 29 March 2019. The parcels reference should be included on the outside of the parcel if you send parcels via a universal postal service provider, for example Deutsche Post or La Poste. For other parcel operators the reference should be included in documentation accompanying any parcels they send to UK buyers, for example the airway bill, from 29 March 2019. The parcels reference enables parcel operators to identify that the seller has registered for the service to pay UK import VAT due and can deliver the seller’s parcels without any delays. HMRC will receive data about parcels that are entering the UK. Parcels without the correct parcels reference may be delayed. What does HMRC define as a parcel? Parcels include letters, packages, packets and any other article containing goods that could be sent by postal service, whether it is carried by a postal service, express or courier operator, freight forwarder or any other service. How does HMRC define a parcel operator? by postal service, express and courier operators or freight forwarders. I am sending a parcel worth more than £135 to the UK. What do I have to do? If you only send parcels containing goods with an intrinsic value of more than £135, you should not register or use the UK HM Revenue and Customs’ (HMRC) new online service. In these circumstances, the UK buyer will pay any UK import VAT and duties. If you sell goods in parcels with an intrinsic value of more than £135 and goods in parcels with an intrinsic value of £135 or less to UK buyers, or for delivery to UK recipients, you only need to report and pay the UK import VAT on parcels for the goods worth £135 or less. You can do this by registering for the new online service to report and pay the UK import VAT due. To calculate the total value of the parcel and decide who pays the import VAT, you should include the price paid for all items contained in the parcel, but not any postage, packaging or insurance costs. Postage, packing and insurance must however be included in the calculation of the tax due. You should not include for either purpose any duty you pay in your own country. What are the current rules for selling goods from abroad? EU-based sellers currently charge, account and pay Value Added Tax (VAT) in their own countries. If they trade above the UK’s distance selling threshold, they have to register for VAT in the UK and pay UK VAT on the goods. For businesses outside the EU, the UK buyer of the goods is responsible for paying the UK import VAT for goods worth more than £15. UK import VAT is not currently due on goods worth £15 or less as they currently attract a tax relief, also known as Low Value Consignment Relief (LVCR). Sellers outside the UK (this includes the EU, outside of the EU and the Channel Islands) should check the VAT rules in their own country to ensure they comply with their own country’s tax rules. I am a seller outside the UK and send my goods to be stored in the UK until a purchase is made. Does this service change existing customs controls and VAT rules? If you send goods to the UK to be stored before they are sold to UK buyers, you will still need to comply with existing customs controls and VAT rules. This includes paying any UK import Duty and compliance with UK domestic VAT obligations, such as registering for VAT in the UK. These are detailed in VAT Notice 700/1: who should register for VAT. When the change will happen? When will the changes be effective from? If the United Kingdom (UK) leaves the European Union (EU) without a deal, these changes will be introduced from 11pm GMT on 29 March 2019. This means sellers outside the UK (this includes the EU, outside of the EU and the Channel Islands) must pay the UK import VAT for any parcels they send to UK buyers after this date and time, even if the goods were sold before. When can sellers outside the UK register for the UK import VAT on parcels service? Sellers outside the UK (this includes the EU, outside of the EU and the Channel Islands) can register for the service now so they are ready to use it if the changes are introduced on 29 March 2019. The parcel I am sending is a gift, do I need to register for the UK import VAT on parcels service? Individuals outside the UK sending a gift to another individual in the UK do not need to register or account for these using the service provided it is a genuine gift and of an occasional nature. Who should register for the UK import VAT on parcels service? Sellers must register for the service if they sell zero-rated goods. Zero-rated goods are still VAT-taxable but the rate of VAT charged is 0%. Sellers must still submit a report on these goods sold but with zero-rated UK import VAT due. Sellers can check online to see if they will need to register with UK’s HM Revenue & Customs to pay the UK import VAT from 29 March 2019.
Who should not register for the UK import VAT on parcels service? If sellers outside the UK send parcels containing a mixture of goods (e.g., some excise and some non-excise goods), the duties and import VAT will be collected from the UK buyer via the parcel operator. To calculate the total value of the parcel, sellers should include the price paid for all items sold, as well as any postage, packaging and insurance costs for the parcel. They should not include any duty they pay in their own country. If I choose to use the UK import VAT on parcels service, what will I need to do? How do I register to use the UK import VAT on parcels service? If you choose to pay the UK import VAT on goods yourself, you can register online on GOV.UK using a Government Gateway user ID and password. If you do not have a user ID, you can create one when you register. How do I access the UK import VAT on parcels service again once I’ve registered? Once registered, visit GOV.UK and search for ‘manage your UK import VAT on parcels’. To access the service, you will need your Government Gateway user ID and password. You will have used this information when you registered for the service. How do I report my UK import VAT on parcels to HMRC? If you have registered for the UK HM Revenue and Customs (HMRC) online service, you can use this service to report the UK import VAT that must be paid for each accounting period. This will normally be done every three months. When you register for the service, you can choose when to start your accounting period from those available. Once chosen, you cannot change the date of your accounting period. You must pay the UK import VAT by the due date. What happens after I register for the UK import VAT on parcels service? Once registered for the service, you will be given an UK import VAT on parcels reference. The parcels reference should be included on the outside of the parcel if you send parcels via a universal postal service provider, for example Deutsche Post or La Poste. For other parcel operators the reference should be included in documentation accompanying any parcels sent to UK buyers, for example the airway bill, from 29 March 2019. The parcels reference enables parcel operators to identify that the seller has registered for the service to pay UK import VAT due and they can then deliver the seller’s parcels without any delays. Can I change my details after I have registered for the service? How do I pay my UK import VAT on parcels? If you choose to pay the UK import VAT yourself, go to GOV.UK and search for ‘manage your UK import VAT on parcels’ to access the service. You will need your Government user ID and password, which you used to register for the service. Once in the service, you can report any UK import VAT due on the goods you have sold to UK buyers in the accounting period. bank transfer You must pay the UK import VAT by the due date. I am a seller outside the UK, what happens if I do not follow the new rules for UK import VAT? Will I get confirmation that I have paid the UK import VAT using the online service? Once you pay the UK import VAT you owe, you will be presented with a page that displays a receipt that can be printed or downloaded for your records. This will include your registration number, payment number and amount. Your payment will be reflected on your account 5 working days after it has been made. This update will confirm you have nothing left to report or pay, and the date your next report is due. How do I work out the UK import VAT due on my goods? Work out the value of the goods in pounds sterling by using the foreign currency exchange rate that applies at the time of the sale. HMRC publishes exchange rates on a monthly basis. all postage, packaging and insurance for the parcel The total value does not include any duty you pay for the goods in your own country. The rate of UK import VAT charged depends on what the item is. You have to pay a standard rate of UK import VAT on most items. This is currently 20% of its value. There are also goods that are still VAT-taxable but the rate of UK import VAT is 0%. This is known as zero-rate. You must still submit a report even if no UK import VAT is due. Examples of this include most food and children’s clothes. UK import VAT is charged as a percentage of each item in your parcel. It is calculated on the cost of the goods plus shipping, insurance and incidental costs. Use the UK import VAT rate that applies to each of the goods in your parcel. Multiply the value of your item by the correct UK import VAT percentage rate. If a parcel contains goods with multiple UK import VAT rates, HMRC would expect a fair and reasonable payment for each of the shipping, insurance and incidental costs to the appropriate UK import VAT rates. I’m based in the Channel Islands and have heard there are two ways to pay the UK import VAT through my local parcel operator, is this true? Do I need to keep records of the goods I have posted? You must keep records for six years from the date the goods were sent. You must also be able to send the records by email if HMRC requests to see them. If you receive a request from HMRC for your records, you must do this within 30 days of receiving the request. Where do I go for more?